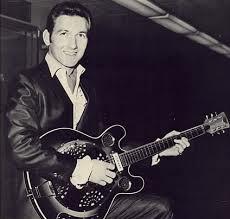 Legendary lead guitarist James Burton's career began at the age of 14 when he played guitar in the house band for Shreveport's famed Louisiana Hayride. In 1955 he wrote the music for one of his biggest hits, Suzy Q, and recorded it with Dale Hawkins. In 1957 Burton began a nine-year stint as guitarist for Ricky Nelson, including recording sessions, concert tours and weekly appearances on Nelson's popular television show, The Adventures of Ozzie and Harriet. Burton's skill on lead guitar has made him an artist much in demand by groups spanning nearly every musical genre. Artists he has recorded and performed with include Elvis Presley, Frank Sinatra, Arlo Guthrie, The Byrds, John Denver, Elvis Costello, Linda Ronstadt and George Harrison. Burton, who makes his home in Shreveport, continues to work with a wide variety of artists in the studio and on the road. He is recognized as one of the leading, most influential guitarists in the world. In the fall of 2004, Burton recorded Matt Lucas-Back in the Saddle Again, a sequel to the Matt Lucas album The Chicago Sessions. The album features rockabilly and country music and was released in May 2006 by Ten O Nine Records. In 2005, Burton started the annual James Burton International Guitar Festival to raise money for his charitable foundation. The festival is held at country music's historic Municipal Auditorium and in the Red River District of Shreveport. In 2007, he was inducted into the Musicians Hall of Fame and Museum in Nashville, TN as a member of the L.A. session player group known as The Wrecking Crew. In 2008, Burton was asked by Brad Paisley to play on his upcoming album, Play. Burton went along for the ride and played on an instrumental track called Cluster Pluck, as did Vince Gill, Steve Wariner, Redd Volkaert, Albert Lee, John Jorgenson, and Brent Mason. At the 51st Grammy Awards in 2009, the song won Best Country Instrumental Performance. 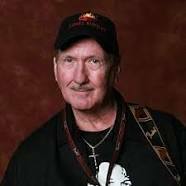 On August 22, 2009, on stage at his James Burton International Guitar Festival, James Burton was inducted into The Louisiana Music Hall of Fame. On July 15, 2010 Rolling Stone Magazine announced Eric Clapton and James Burton will provide backup guitars on the track You Can Have Her for the new Jerry Lee Lewis album Mean Old Man, scheduled for release the fall of 2010.